It is super easy to use. You enter the user name, a colon, and their tweet. You repeat the process with the person the first user is talking to. 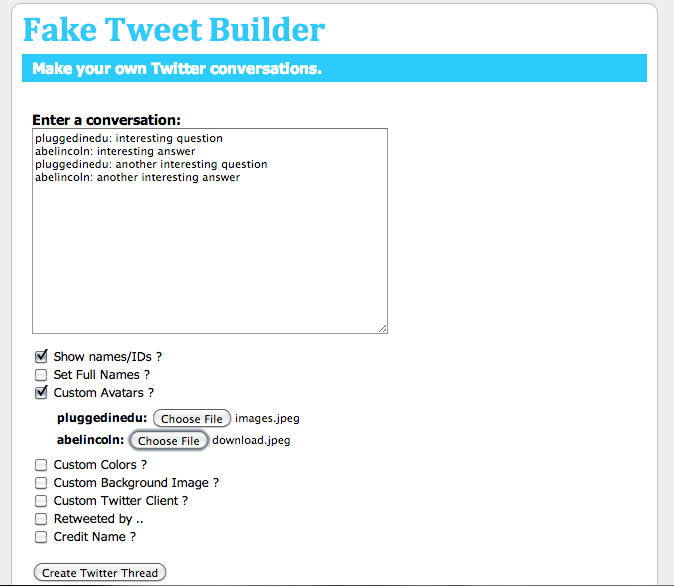 You can customize the conversation with avatars, colors, background images and more. 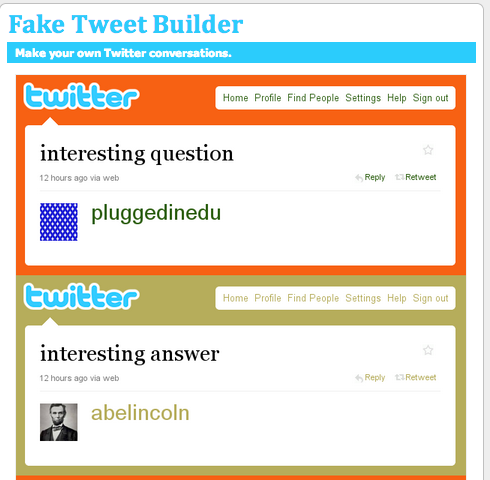 Fake Tweet Builder is a great way to interview a historic character or have two characters talk to each other. 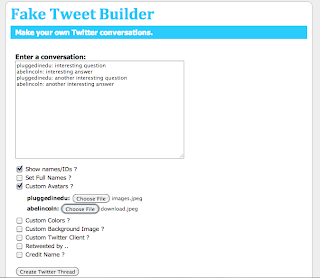 You can create a Tweet to promote an event. Make a tweet into a poster. Create 'what not to do' tweets for digital citizenship lessons. 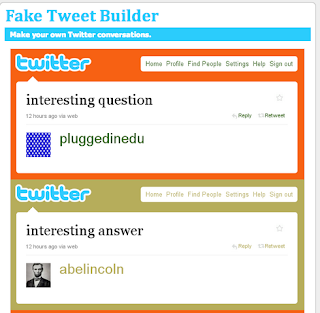 How can you use Fake Tweet Builder in your classroom? On Saturday, November 2 I presented at the Round Rock Google Ninja Academy. 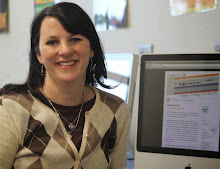 I presented over using Google Apps - docs, presentations, spreadsheets, draw, forms and sites. Below is the Google Presentation I used. If you have questions or would like to see the actual student projects (I starred the available student projects), just email me!